An invitation to visit JCB’s headquarters is no doubt the stuff of many a childhood dream. The company’s iconic machinery has been a mainstay of UK construction for decades, and the brand has even transcended industry to attain a dictionary entry; JCB has long been a recognised term for any machine with a shovel at the front and a digger at the rear. Founded in 1945, the privately owned company is one of British manufacturing’s real success stories, and today has 22 plants across four continents generating a total of £2.5bn in annual sales. Three years ago it celebrated the production of its one-millionth machine – apparently enough diggers to stretch from the UK to Australia. But JCB’s proud heritage belies a drive for innovation that enables it to compete on a global level. Its continued expansion has occurred largely in the absence of acquisition, relying instead on in-house creativity. It was the latest fruits of this innovation that prompted The Engineer’s recent visit to JCB’s Rocester HQ. 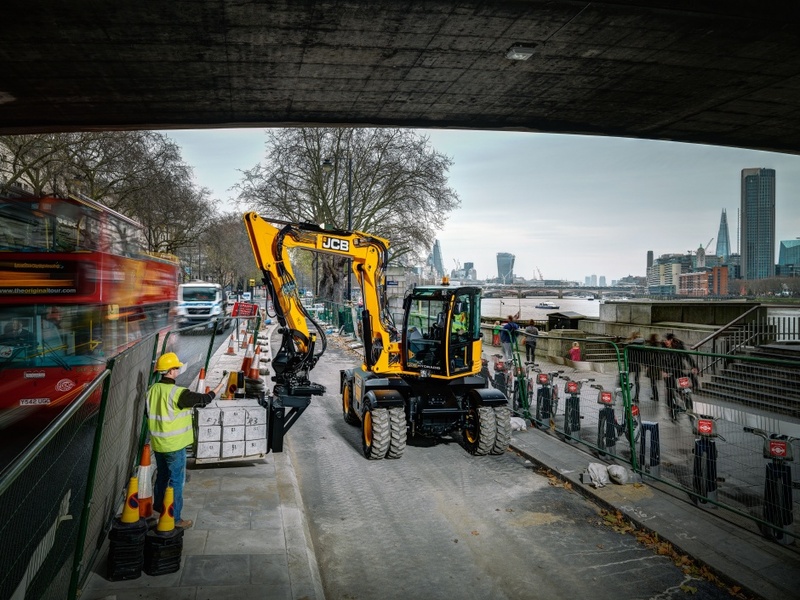 Developed in secrecy over three years under the codename ‘Project 710’, the Hydradig is a compact wheeled excavator that JCB believes can reshape urban construction. Building work in cities is taking place in increasingly congested environments, with a growing demand for agile, multi-tasking machinery that can still deliver grunt. 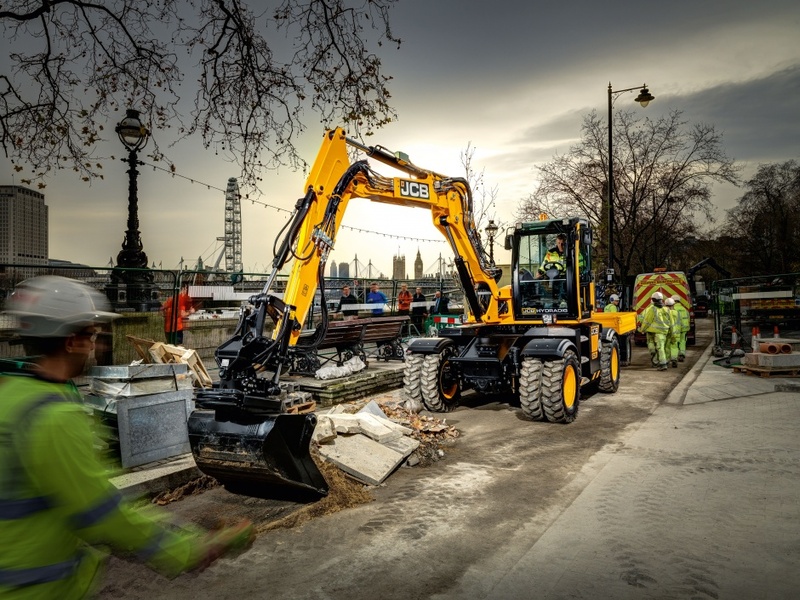 JCB has designed the Hydradig to meet that demand. “This was about creating a completely new machine, a new piece of construction equipment that didn’t exist before,” JCB’s chief innovation officer Tim Burnhope explained. The five areas identified by JCB were visibility, stability, mobility, manoeuvrability, and serviceability. According to Burnhope, machines in the 10-tonne sector would traditionally only excel in one or two of these areas. The challenge for JCB would be to design a new construction vehicle that was outstanding in all departments. But delivering improved performance in all areas would not be easy, as the challenges facing JCB were interlinked and often conflicting. Boosting stability generally means adding bulk, which, in turn, often hampers visibility and mobility. Individual teams were assigned one area to focus on and told to ignore everything else; the rub would come later when trying to merge the various solutions. Improved visibility came with the help of a brand-new cab that provides 360˚ views. The operator can see all four wheels, as well as within 1m of the Hydradig’s footprint at ground level. In order to remove as much obstruction from the new cab as possible, the driveline and hydraulic pump were mounted lower in the chassis. This also helped the designers solve other key issues around stability and mobility. By significantly lowering the machine’s centre of gravity, JCB could kill multiple birds with one stone. But arranging the pieces of the puzzle closer to the ground was not straightforward. The industry trend had been for smaller machines on site, but the size of building components had remained the same. Essentially, more weight was required from a smaller footprint. Some machines would use bigger counterweights to increase lifting capacity, but the extra bulk could make them unwieldy, as well as too big to operate in a single carriageway. 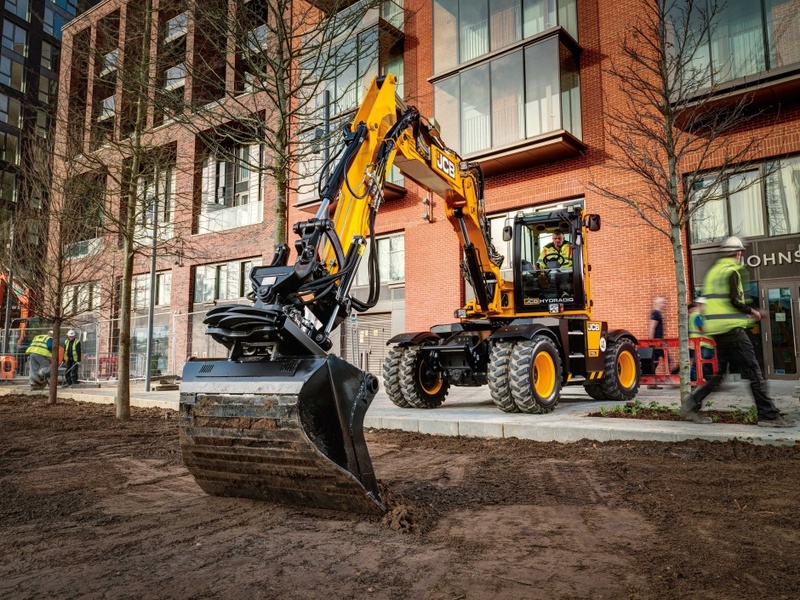 50/50 weight distribution, combined with a repositioned slew ring, means Hydradig isn’t prone to the ‘nodding’ other diggers often experience at speed. To enhance mobility, JCB’s engineers took design principles from its Loadall Telehandler. Adapting the Loadall drivetrain for the Hydradig would allow the new vehicle to reach speeds of 40kph on roads. The 50/50 weight distribution, combined with a repositioned slew ring, meant the Hydradig also wasn’t prone to the ‘nodding’ other diggers often experience at speed. For safe on-site operations, speed can be limited to 20kph. Manoeuvrability comes via three standard steering modes: two-wheel, four-wheel, and crab steering. An optional reverse steering mode also allows the operator to use the three standard modes while the cab is facing in either direction. 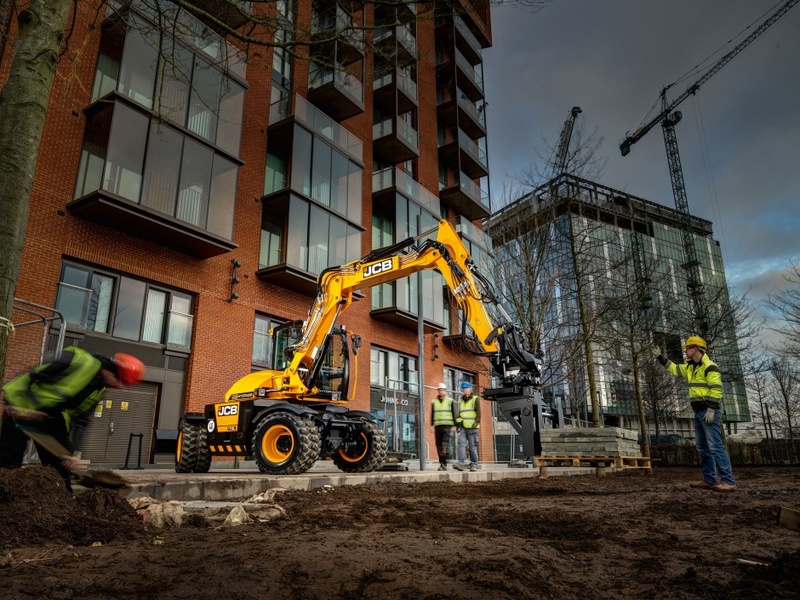 JCB said the Hydradig has a tailswing of just 120mm, 29 per cent less than any of its competitors. The final piece of the puzzle was serviceability, but bringing the drivetrain and hydraulics so close to the ground also helped tick this box. Working on machinery at height is inherently dangerous, but on bigger machines ‘boxing ring’ safety systems could be used to prevent falls. However, the systems weren’t suitable for servicing smaller equipment. “Health and safety don’t want anyone working at height these days, they want them on the ground,” said Burnhope. With service access at ground level, JCB had completed its five-card trick, addressing the interdependent problems it set out to solve. 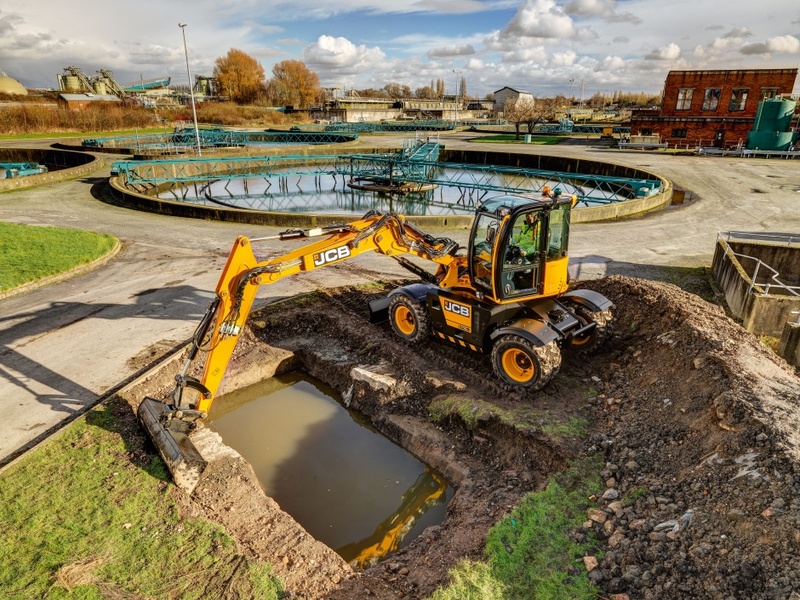 In a global market that the company’s own CEO recently described as “uncertain and fragile”, JCB sees the Hydradig as a potentially game-changing addition to its portfolio and a driver of future growth. JCB has clearly invested major time and resource into the Hydradig’s development, and company chairman Lord Bamford recently hailed its successful launch. But it has a long journey ahead if it’s to be spoken of in the same breath as JCB’s famous backhoe loaders, and become an enduring part of the company’s legacy. What I do know is that I’ve been promised a spin at the JCB test quarry, and both my inner child and its corresponding adult are very much looking forward to it. As clear a case of a mixed system of units as I have seen for many a long day! [.75m?] Though NOT a civil (well-mannered?) Engineer I cannot but be impressed by the outstanding approach to a problem that JCB (I am sure their customers made a great contribution as well) have shown. I was surprised to read that all their efforts in 22 plants round the world efforts only produce £2.5 billion of sales per annum. Heavens, our non-technically competent Government/administration wastes more than that every month! Indeed probably more often. I know, lets get Lord Bamford to start spreading the word in the Lords that we Engineers (such as his-good-self) can do for 10p what any fool does for £1.00: and that we are ready to take-over wherever there is a need for competence, care and civility? Interesting article, but reads more like an advert. A little short on technical content. How much does it weigh? 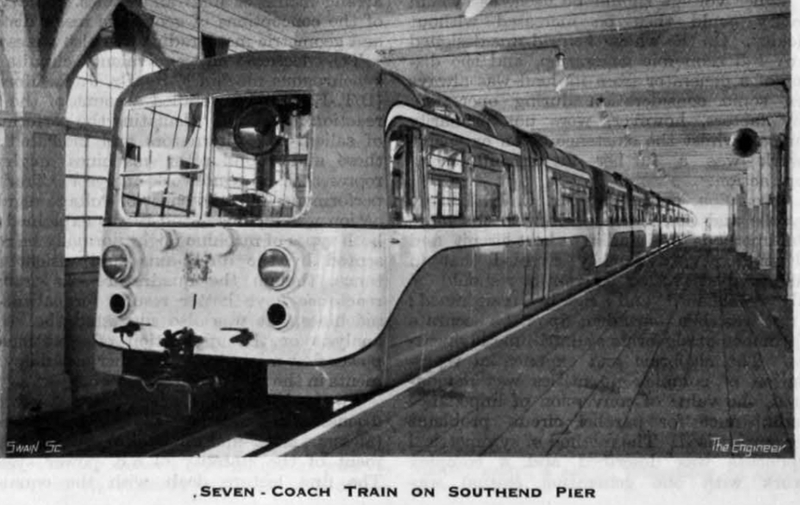 What engine does it use? What is the size of the market? How many will be made per year? Where will they be made? How many jobs will be created? How much does it cost? etc. etc. “Health and safety don’t want anyone working at height these days, they want them on the ground,” During work I was supervising by students at Salford University, we did a study of the insurance praemiums payable for civil engineering work on different ‘heights’ of buildings and ‘depths’ of hole. The insurance ‘industry?’ believed that the further operatives might fall, the higher should be the praemium? The scales were based upon ‘storeys’ high: but as one bright student pointed out, “you are just as dead when you hit the ground from 5 as from 50 or 100 storeys. A substantial review was initiated. I have know idea how much civil engineering contractors have been saved by this simple observation…. 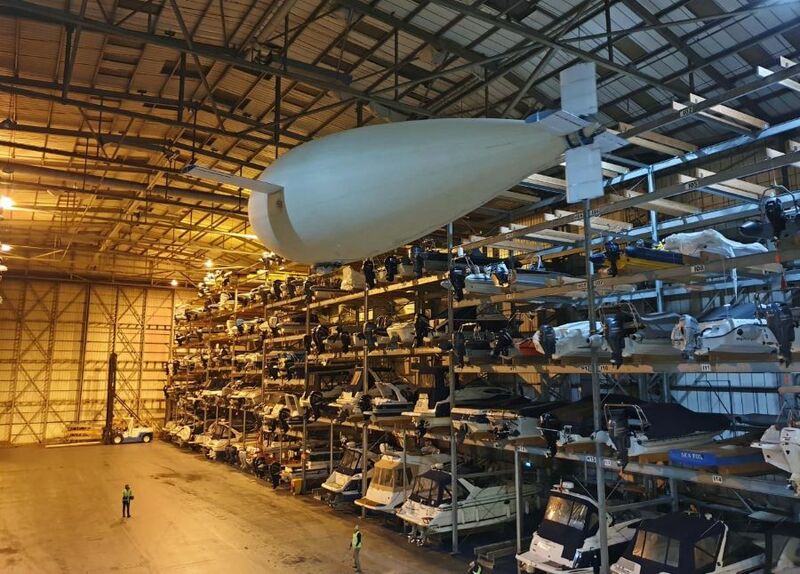 What a brilliant project for British manufacturing. A great example for showing our young potential engineers what can be achieved. 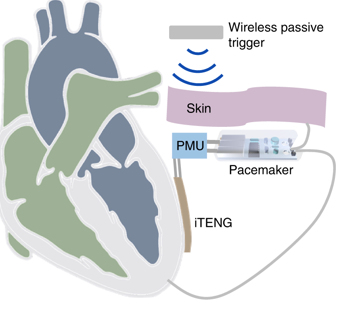 Just reading this made me so excited that there are still projects like this in the UK. Great job all involved.